Two weeks after announcing that he was leaving H&R Century Pictures which served as his talent agency for the past five years, Li Yifeng has found a new home to foster his showbiz career. On April 15, he was introduced as the first and only artist under Bravo Stars, a new company that was registered for business this February. Not much is known about the company except that it's following Li Yifeng and Li Yifeng Studio on Weibo and no one else. Will there be more artists in the future? Maybe. I actually won't be surprised if Li Yifeng turns out to be the owner. I'm very happy. 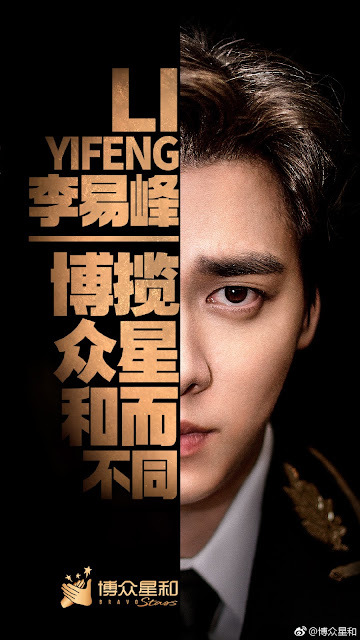 Good luck Li YiFeng.